Pasadena CA Personal Trainer | Hugo Garicia Jr. If you're motivated to get healthier and stronger, you've come to the right place! 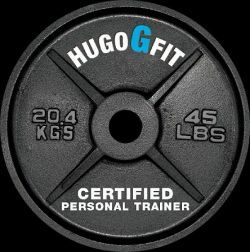 Hugo is a Certified Personal Trainer working in the city of Pasadena, CA. 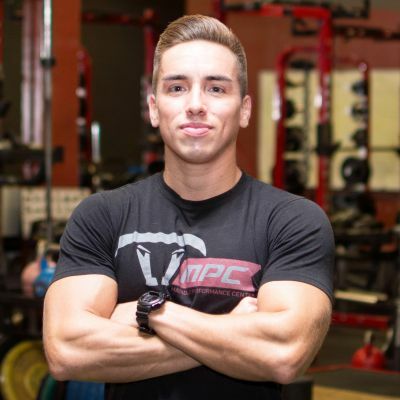 As a Personal Trainer, Hugo specializes in weight loss, muscle gain, strength training, toning, athletic performance, physical therapy, nutrition, body building, power lifting, and flexibility. With an immense level of quality sessions and supervision; Hugo makes sure that every exercise movement is performed to perfection to eliminate the possibility of injury and increase the potential of success. Every repetition, set, and rest period is structured to fit your individual goals. Experiencing physical results is virtually inevitable. 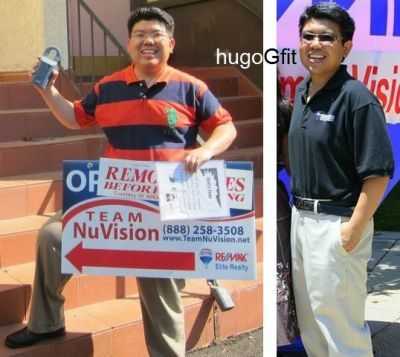 Hugo can help you set realistic goals and transform your health and your life for the better. Hugo can help you look and feel your best, and he can help you enjoy yourself along the way! Hugo conducts personal training at a private, state of the art gym in Pasadena CA, where membership fees are non-existent. Contact Hugo for a free session and experience a workout with him today! Dominic Martinez - "Within the first couple weeks I noticed improvements in strength, and a couple months later I'm down 10 pounds, down in body fat, and have gains in lean muscle, more energy and flexibility. I'm 2 weeks away from my half marathon and my pace per mile is better than ever and I'm running longer than I ever have in my life! Aside from creating customized workouts as well as meal plans (huge bonus), Hugo is also extremely helpful with any scheduling changes that arise with my hectic work schedule. Sometimes my Monday might get booked up with work so he finds a spot on Tuesday to make sure I get the workouts in for the week. If you put in the time with Hugo you will see and feel results. 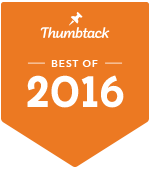 I highly recommend Hugo to anyone looking to improve their health and quality of life." 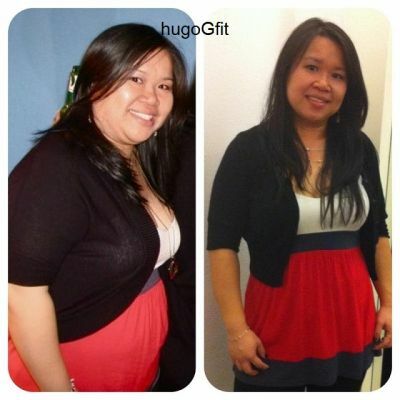 Maylin Yan - "I have to admit that I’ve tried personal training before and it never worked for me until I met Hugo. Once I started training with him, my perception of personal training changed completely. Hugo is not only a great trainer, but he kept me focused and pushed me to my limit. He also took time to teach me about diet, such as how to eat and what to eat. Every training session, Hugo would start by asking what I ate that day and would advise me on the things that I needed to improve on. That took the most dedication from me, but in the end I realized how much it was worth it. 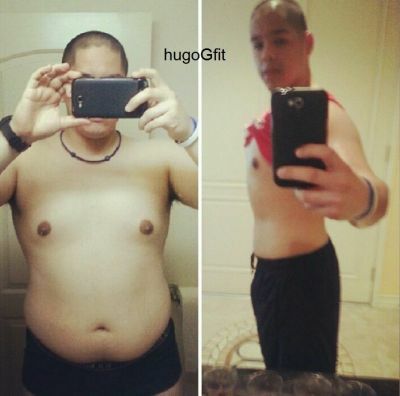 I trained with Hugo for a year and a half and lost a total of 45 pounds of body fat. I have never been so confident and energetic, and have since inspired others due to my results. This has made me realize that anything is possible when you put your heart into something, and to stay focused until you reach your goal, and Hugo has always reminded me of that. Hugo is the best personal trainer in Pasadena!" 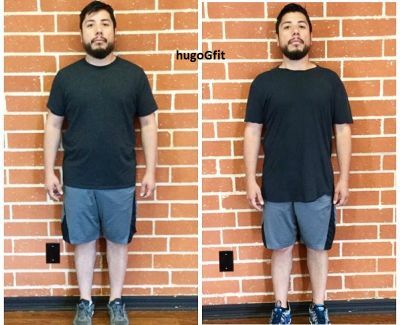 Rudy Lira - "Hugo is very professional and shows clear direction - not only did he show me how to exercise, but Hugo took the time to teach me about my diet (what to eat and what not to eat). Before training, I weighed over 215 lb (overweight) and after spending 2 months with Hugo, I saw significant weight loss a total of 30 lbs reduction and today (11 months later), I still maintain my ideal weight of 170lbs." Luis Garicia - "My name is Luis Garicia and I am a membership Counselor at 24 hour fitness. In January 2011, I was 19 years old, tipping the scale at 300 lbs. and my body fat percentage at 35%. Hugo helped me with the most difficult part of losing weight, my food intake. Though it was difficult, Hugo kept me highly motivated and developed a workout plan perfect for my abilities and my schedule. So far, I have lost 90 lbs, gained over 20 lbs of muscle, and my body fat dropped to 20%. I have learned that everyone is capable of transforming their body to exactly what they desire through hard work, commitment, and inspiration. I am a completely different person living the kind of lifestyle I truly love. Thank you Hugo." Eileen Wei - "It has been an absolute honor to train with Hugo Garicia for the past 12 months. He has been such an inspirational role model for me and for countless people around him. If you're reading this and considering doing personal training with Hugo, I would say you are making one of the best investments on yourself. I see personal training as a reward for myself after a long day at work. Health is #1 and you know you can't go wrong putting aside some valuable time on your body, which transcends to better your mind and confidence from the inside out. Well, at least that's my humble opinion. Hugo is very attentive and caring. I had some hip and leg injuries. Hugo made sure that he modified to what worked best for me and suggested exercises as physical therapy to help me rebuild strength and rehabilitate slowly. Miraculously, I was able to get back into jogging and I managed to finish my first half marathon. Hugo won't yell at your face like a military sergeant unless you specifically request him to. But I really don't see a mean bone in this man. For some magical reason, you will thank him for making you sweat. Maybe it's the way he politely demonstrates in perfect form and explains in not only technical medical terms but also answers all the questions and concerns you may have. Hugo incorporates a variety of strength training into your fitness plan, a myriad of cardio and circuit activities, and different stretches that caters to your appropriate level. Hugo taught me about quality and form over quantity. He taught me not just about strength but also agility, stamina, flexibility, nutrition, and supplements in their full spectrum. I have been learning so much from Hugo for the past year and he still keeps me motivated, challenged, and entertained. Where I am today is someone who is slowing growing more confidence. I wouldn't say that I have before and after photos. I take 'progress' photos to compare myself against myself. I recognize that there are good days and there are bad days. After all, I am my own hardest critic. Fitness and nutrition is a life-long journey and life-style commitment. I am still learning to bounce back quickly if I make mistakes. Men, and certainly women as well, should not be afraid to lift weights because gaining muscles translates to more fat burning. I mean, who doesn't want to reduce fat, as well as look and feel better about themselves. I learned from Hugo that being healthy is transforming yourself from the inside out. If you believe in yourself to achieve, and you contribute your honest efforts, you'll see progress progressively. Hugo is definitely an inspiration and motivation to that healthy life-style we all strive for. I can go on and on about the long list of benefits of training with Hugo. You have to experience this for yourself so give it a shot! You only live once so live it in health and fitness because it is within reach when you believe."